Remember a while ago, when I wrote about needing a project in order to stay sane, while my shoulder healed? Well, I sure found one! If you look at the picture at the right, that’s it! 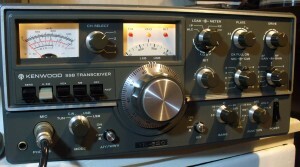 It’s a fantastic little rig from Kenwood, when they still made simple but very good HF stations – no menus, no electronic band-switch, etc. When I got it, someone had dropped the top lid while looking inside, resulting in tearing the wire off from internal speaker, but with the help from some junked speakers, that was an easy fix. Then came the question why the RF power came and went. Well, what really was wrong, was a voltage regulator, sitting on the heat sink, and it was supposed to be insulated from ground. As you might already have guessed, it was not really…that is to say, the little washer with a little flange on, that is supposed to keep the screw from touching the regulator, was damaged, so when keying the rig, sometimes it made contact, and sometimes not…. After having found this, it now works just as new! When cleaning knobs, do not EVER try to do that in a sink, without a strainer! Why? I’ll tell you why, if you haven’t felt your heart fly up into your throat, YOU WILL! Also, if you haven’t had to take the drain apart, YOU WILL! 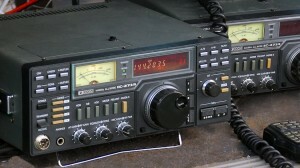 A radio in this condition sells really fast, and so did this. Roger KB3ZKJ, is now the happy owner. Congrats Roger! 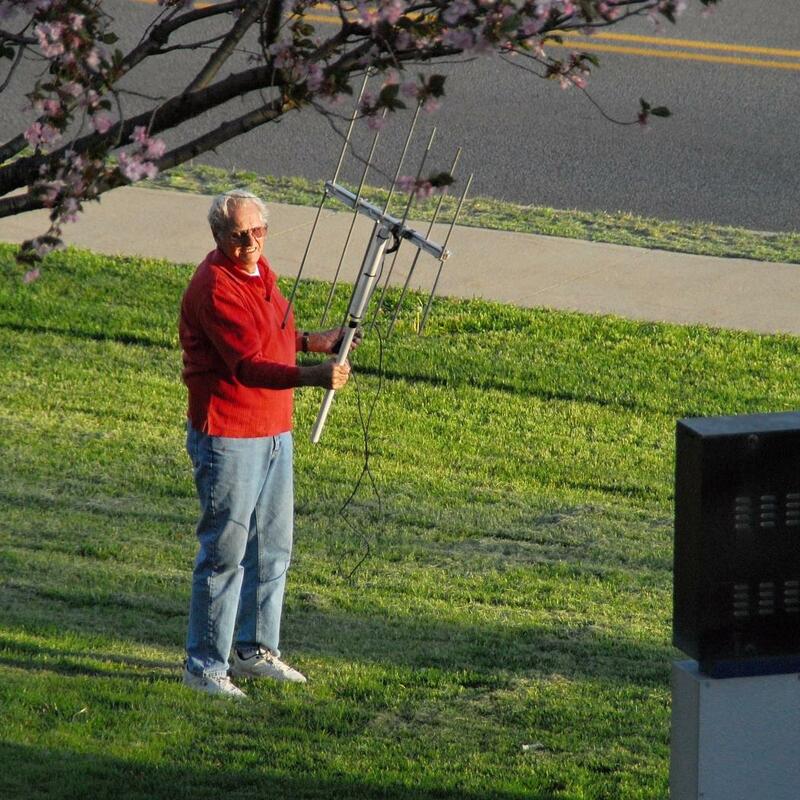 Need a new antenna? Well find an old one, and fix it up! With the risk, that you might say, I can’t do that, I say YES YOU CAN! 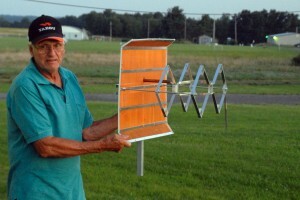 The other day, I was looking around for a cheap and simple antenna for my brother in-law. You see, he was asking me if it’s hard to get a amateur radio license, and if the equipment is expensive, so I told him that he could borrow a radio and coax from me, but, I didn’t have any antenna that he could use. 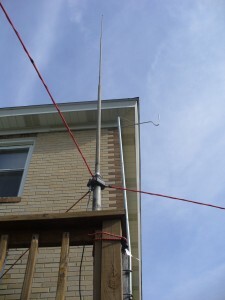 That’s when I got to think about a neighbor of mine, a few years ago, he asked me if I wanted an old CB antenna that had been laying outside for the last 20-25 years, and at the time, I had what I needed, so I said no thank you, but now it might be a good idea to ask him, and guess what, it was still laying out there, he said, all he used it for was to knock down hornets nests. So I got the “antenna” for free, took it all apart, cleaned it up, and put it together again. From what I could figure out, it was 11′ tall, and once it did have 3 ground plane-rods. Further more, it also had a coil of some sorts, connecting the center of the PL connector with the 11′ radiator, and since I had no clue of size, or number of turns, I started to look on the net for a similar antenna, but it was still just guesswork. 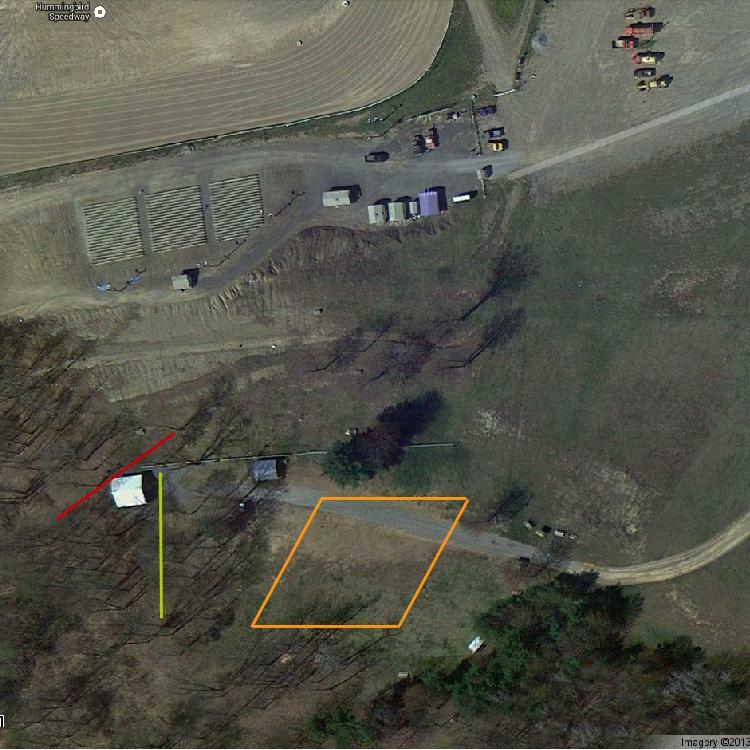 As you can see, on the picture at the right, I used what I had sitting around, so its about 1 1/2 turns. Then of coarse I didn’t know how long the ground-plane-rods originally were, so I came up with a “one of a kind” solution. Since I didn’t have any aluminum pipes that would fit, I went another route, if you look close, I put “inserts” into the 3/4″ holes, then 3 pieces of 6′ fiber-glass rods were inserted, and on the rods, I wound about 7′ 22 gauge insulated copper-wire. The fiber-glass rods can be found at Lowe’s, they are used as “driveway” markers. I used electrical tape, to hold the wires in place, but shrink-tubes would be nicer. Now too the fun part, would this contraption work?? As I said earlier, this was an old CB antenna once upon a time, but what is it now?? 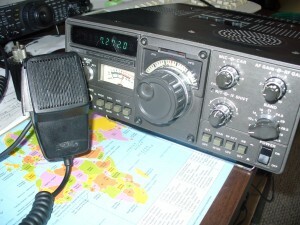 I hooked up my trusty TS-440 sat, it has its own antenna-tuner, so I tuned in 28,500 and hit tune, well it showed SWR about 1-1:3, so I moved down to 28,020 and low and behold, it showed SWR 1-1:2! Well I thought, just because it shows low SWR, it doesn’t have to be a good antenna, so I tuned over the 10m band, and heard a station in El Paso Tx I had worked before, he was about S 5-5, so I called him, and he did answer, and gave me a solid S 5-9!! This told me that it was not just a pile of junk sitting on my back porch, so then I tried to tune it on 12m, and there it showed about SWR 1-1:3, which is not to bad!! This antenna turned out to work all bands, except 17m, and I guess 160m!! Not to bad of a pile of scrap!! 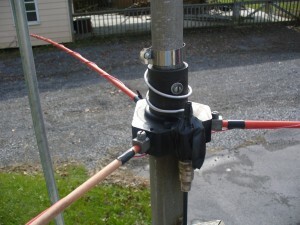 So now, I’m asking all of you, go out and “save” old CB antennas, give them a second chance, and put them to work on our HAM-bands! When you are done, tell us how good it works, and how you managed to save it from the “scrapyard” Good luck, and hope to see your article here soon! We’re at it again! 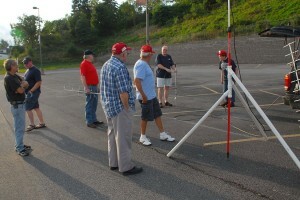 Before the August 17 meeting, we invaded the large parking lot we use as an antenna test range once again. 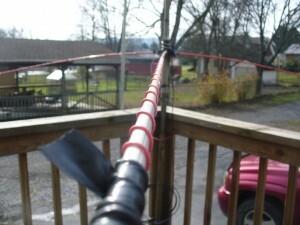 This time, we brought UHF antennas, and found that despite their smaller size, they were all very efficient. Don KB3LES brought his double diamond array, which may be small, but packed a big punch! Lars KB3WBT ran his Quagi through its paces, and Joe W3BC made reference measurements of his Rover Yagi. The antennas all performed so well it was too close to call. 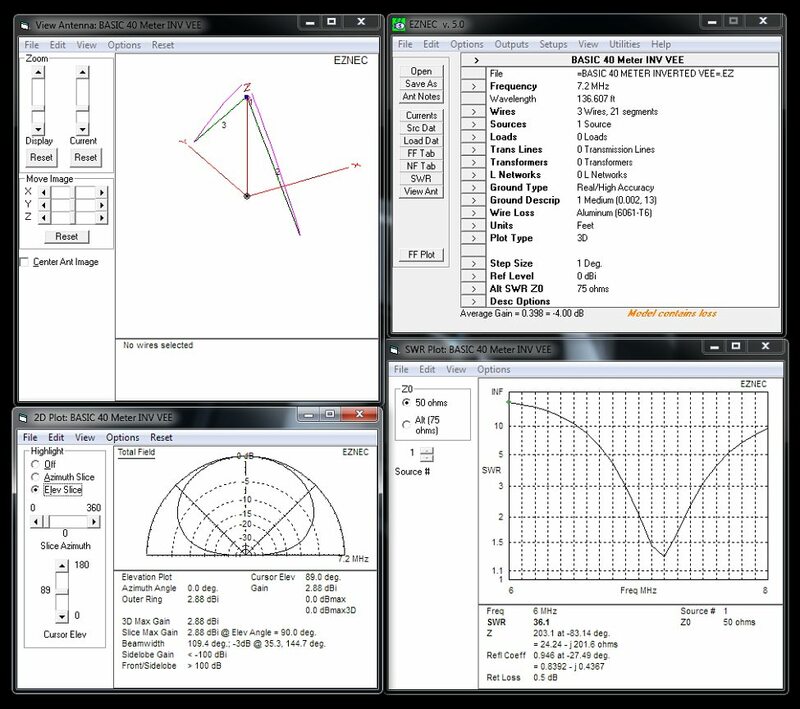 Don’s antenna had high gain, and it was in almost all directions, Lars’ quagi had deeper side nulls, but was still “lobey” off the back. Joe’s Rover antenna had plenty of forward gain, but when as little as 15 degrees off the target, the signals went away and stayed away. 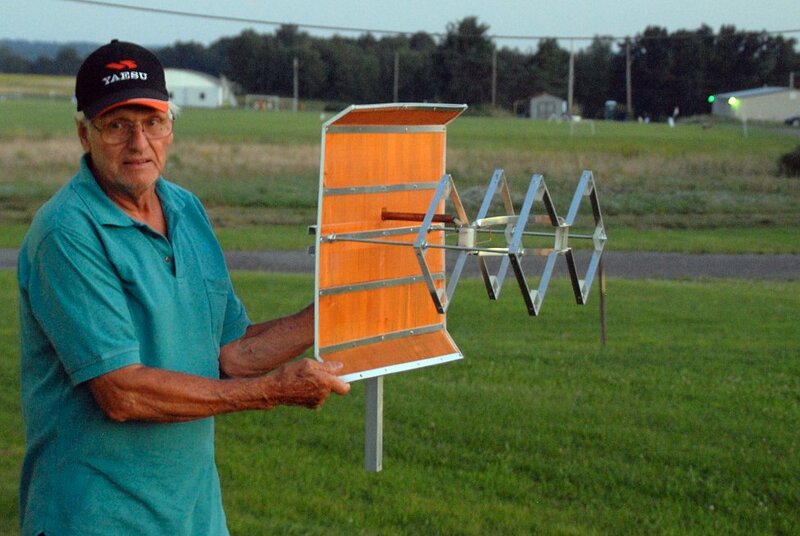 Don’s antenna had the smallest turning radius, and its wide beamwidth and high gain is perfect for net and repeater operations. It would be particularly well-suited to talking to mobiles, since its wide-pattern coverage would blanket an area better than any other antenna we tested. Plus it was the most unique looking of the bunch! 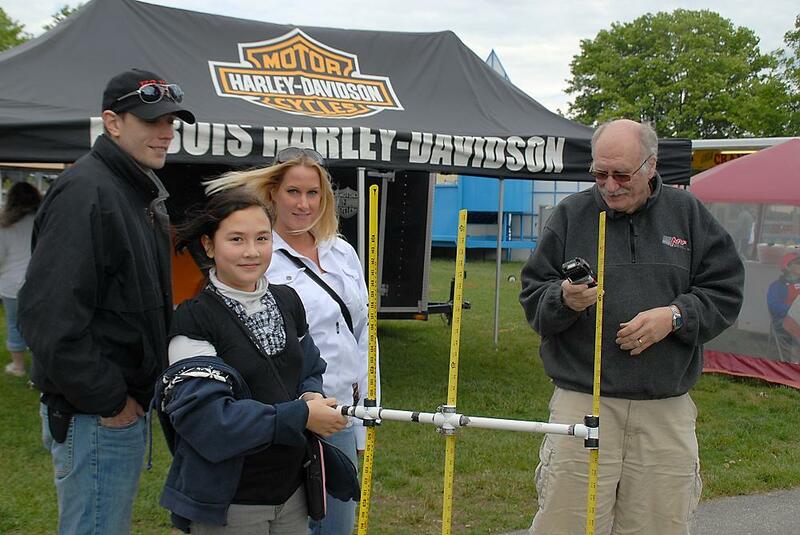 Lars’ quagi was very lightweight being made of PVC pipe, and was easily portable. It would make a great antenna for working distant repeaters. Joe’s Rover antenna was showing the effects of bouncing down hundreds of miles of back roads on countless contest roving missions. A couple of the elements were loose, and could be heard and seen on the receiver as they flopped around in the breeze. It certainly meets its design requirement of hearing only what it’s pointed at, and rejecting strong contest QRM from off the sides and back. Mechanically though, it needs some maintenance before it falls apart, and perhaps a sturdier redesign to keep the elements where they belong. The exercise could be called a “quest for truth” and there were many truths revealed, even by the simplistic testing methodology we used. Given more time, and more attention to little details, some very accurate results could be obtained, but in our assembly-line session, we learned a lot, and got a good idea of the performance of each antenna under test. 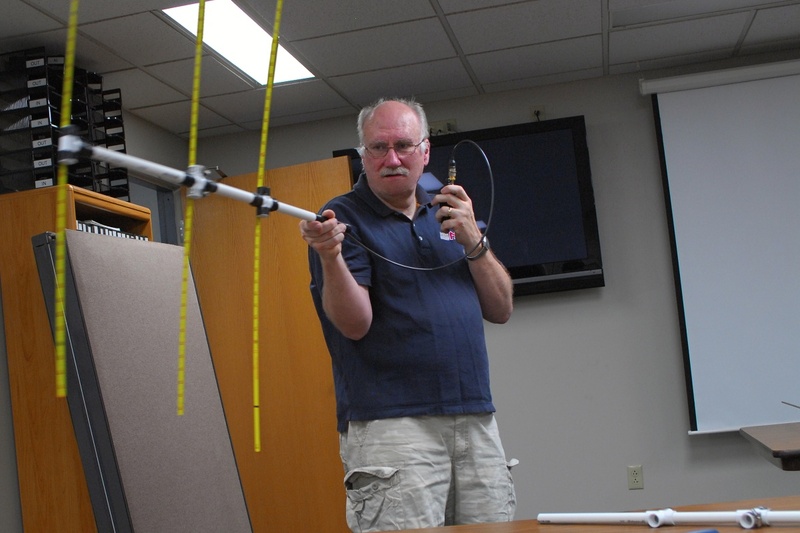 We will add these techniques to our inventory, and we’ll certainly be doing more antenna testing in the future. 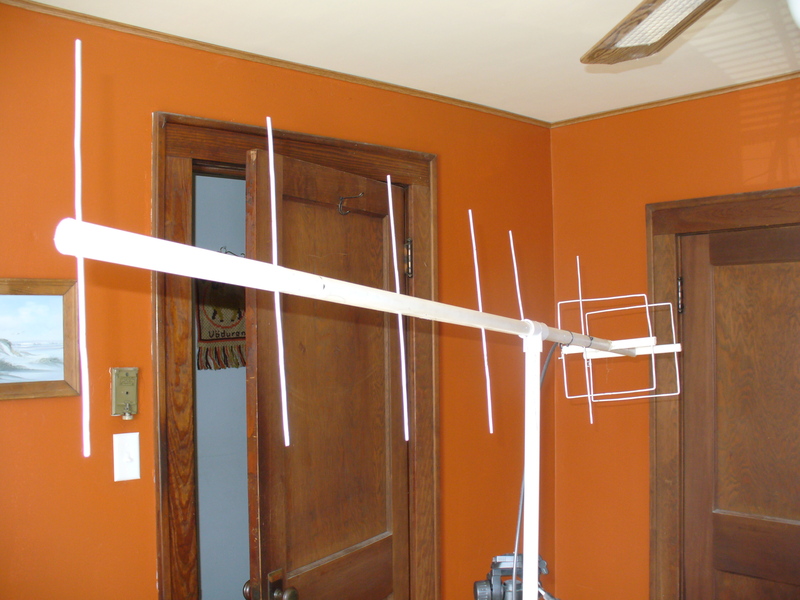 After we ran out of UHF antennas, we switched the remote transmitter to VHF, and tested Lars’ latest creation—a 5 element two meter antenna that uses metal arrow shafts for elements. 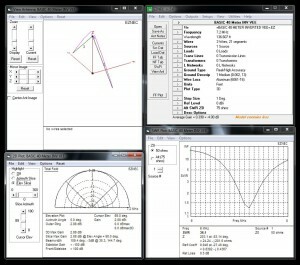 It is a clean-looking antenna, and initial test results showed it to have good gain and a very smooth pattern. After twirling it around the compass and recording received signal strengths, we gave it a real test—we dialed up a distant beacon and pointed the antenna its way. 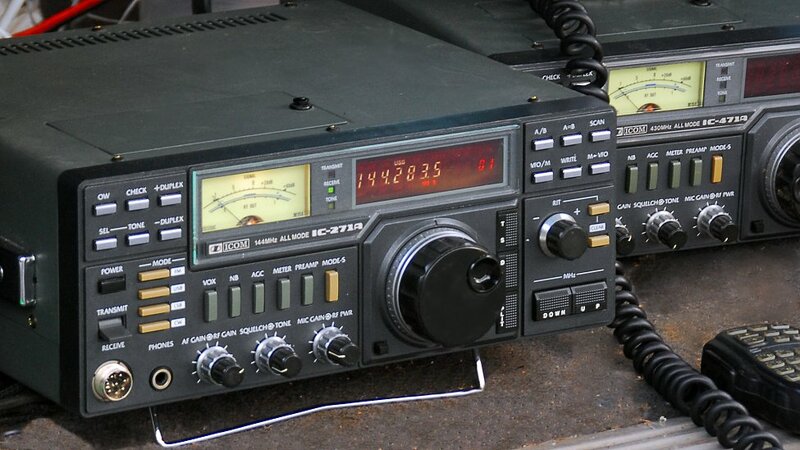 Sure enough we heard a carrier, and then the CW id of WA1ZMS on 144.285 MHz, located on a 4200 foot mountaintop in Virginia, some 253 miles to the south! The net result was that all the antennas were winners! Every one of them had plenty of gain to pick up the weakest signals, while the off-axis signal sensitivity or rejection differed, making each antenna suitable for a different purpose. 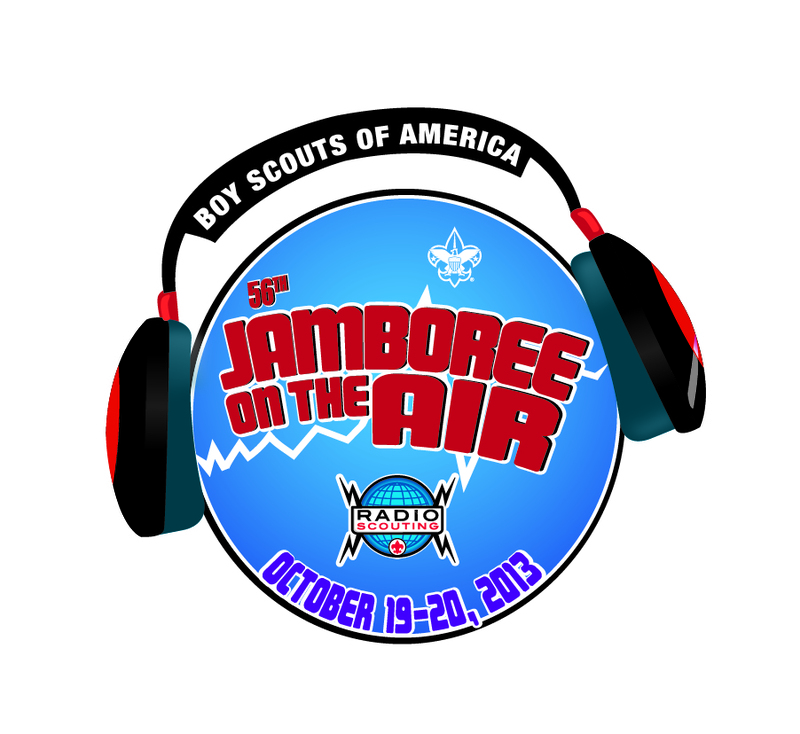 That diversity is what makes Amateur Radio so much fun, and gives us choices to meet our operating needs. Not to mention that everyone there had a lot of fun! Antenna range, that is… The Quad-County ARC held its first-ever antenna shootout preceding the July meeting. 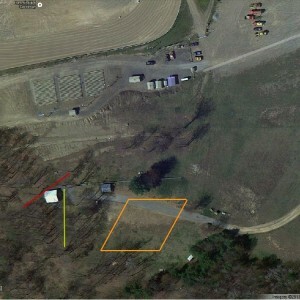 Using a low-power transmitter located almost 1/4 mile away, the group of antenna experimenters set up a monitoring position in a large parking lot adjacent to the meeting room on the Penn State DuBois Campus and took signal strength measurements of various 2-meter antennas that they brought for the occasion. 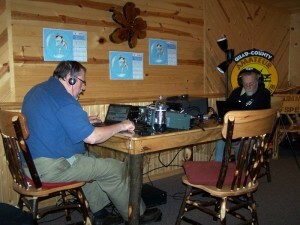 The winner was a homebrew contraption made by Lars SM7FYW/KB3WBT. 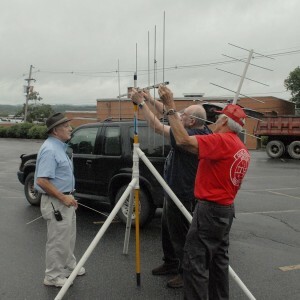 Larry KB3YJH placed his home-made groundplane atop the test mast and the measured signal strength was good enough to take second place. 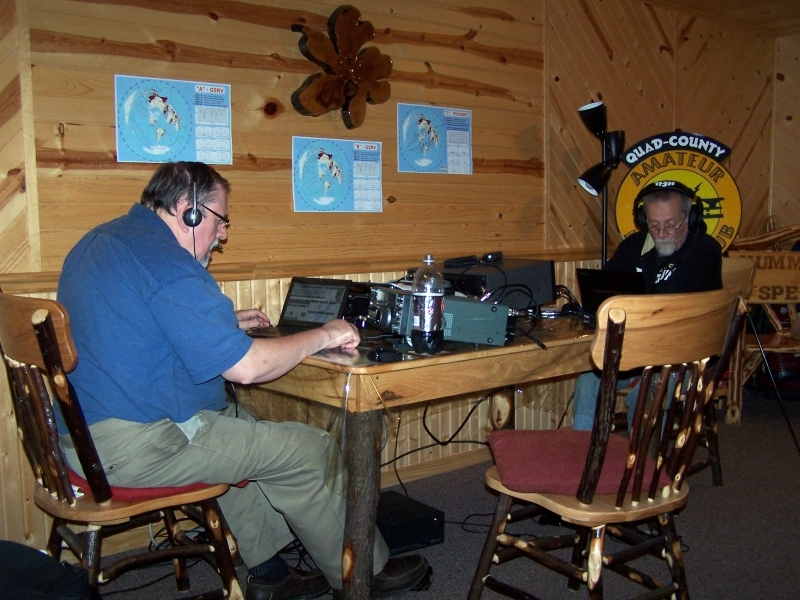 Lars and Don KB3LES each tested several antennas and found the truth about directivity and gain. After the meeting Joe W3BC presented a program on computer modeling of antennas. The highlight of the presentation was to input the dimensions of Lars’ blue ribbon winner, and see if it was supposed to work in theory. 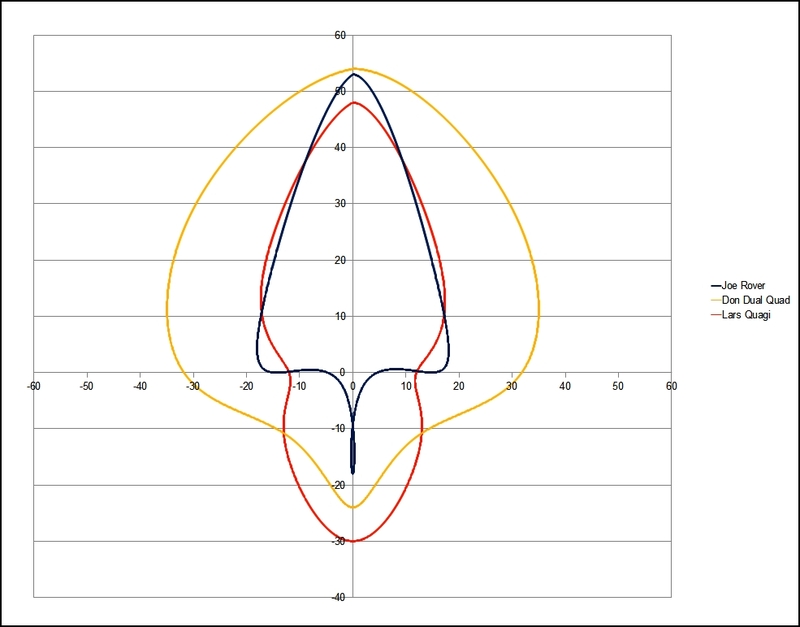 The answer was surprisingly close to the pattern measured on the test range, with deep side nulls predicted just like those measured on the range, and a fairly large lobe off the back of the antenna, again in accordance with the actual measurements. 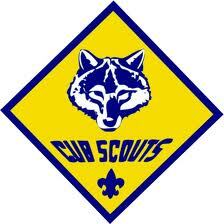 It was so much fun, that another shootout is planned for 6:30 August 17th, before the meeting at 7:30. This second shootout will also be for UHF antennas. Don KB3LES will be bringing his secret weapon, which looks like something from NASA… You’ll have to be there to catch all the fun!!! Hello all readers, this is the Swede again. This time I have been playing with a piece of pvc pipe and some aluminum wire, the result became a cheap and simple antenna for 70cm. 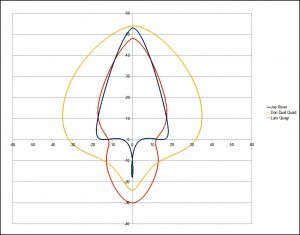 Here are the element lengths: Reflector loop 28″ Driven loop 26 5/8″ Directors 11 3/4″ to 11 7/16″ in 1/16 steps…. I will bring it to the meeting, so if you have any questions, I’ll be more than happy to answer them.